For the Freeman residence landscape, Betsy Schulz combined boulders, low-water plantings, and concrete seeded with pebbles, glass, and shells. 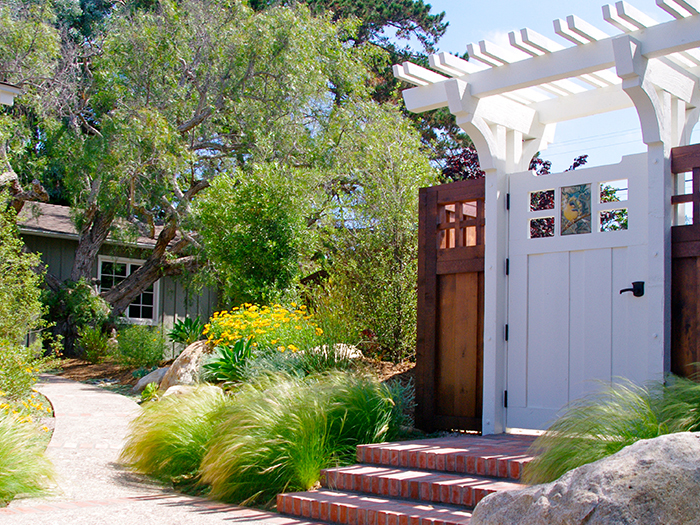 Along with the landscape design and installation, Schulz designed a gate and trellis with two sculpted tiles to highlight the entry. Two columns of stone, handmade tile, and family artifacts support the new front porch, also designed by Schulz.